 The product reviewed in this post was provided to me by the fantastic individuals at Brandbacker for free in exchange for my review. As someone who is always on the road for work and trying to squeeze in time for my family and friends, it can sometimes feel like a chore to fit in “me time”. However, one of the things I always make time for is self care – including indulging in baths. When I had the opportunity to partner with Yardley London to try their luxurious and moisturizing bath bars, I jumped at the idea! I had never heard of the Yardley London brand or tried their products before – so I didn’t know what to expect. When the package arrived and I opened the box, I noticed immediately the wonderful smell of these bath bars. I like the shape of the bar and the stamped font looks high end. I received the Oatmeal & Almond, English Lavender, and the new Creamy Coconut scents to try. My favorite, by far, is the Oatmeal & Almond which has natural exfoliants in the bar. You get 4.25 oz in the bar – which is enough soap to last you a good while, especially if you aren’t using it every day. These soaps don’t dry out my drier skin like other bar soaps do. While initially my skin feels a little tight when I get out of the shower, after I moisturize, it feels great. I love the super clean feel you get from these soaps – in particular, the exfoliating Oatmeal & Almond. The scent instantly makes your bath more relaxing and the bars create a rich lather. These bath bars are also great for everyday use. I love taking bar soap with me on travel as there is no risk of spilling it in my bag. I like to cut up larger bar soaps and keep them in a travel case to use in the hotel. I’ve been using the English Lavender scent on trips after a long day of work to unwind in the evenings. These are extremely affordable ranging from $1-2 and available for purchase at Walmart, Walgreens, Dollar Tree, etc.! I highly recommend you check these out if you are looking for some soap to refresh your bath collection, to throw in a gift basket, or even to give a fresh scent to your dresser drawers (one of my favorite tricks). You can check out the full range of Yardley London Botanical Bath Bar scents and the brand’s other products on their website. Have you tried any products from Yardley London? What is your favorite bath product? This is an old brand that has managed to stay with the times. I remember seeing Yardley everywhere growing up. The labels were always beautiful and looked expensive. I would like to try the Oatmeal and Almond soap! Great article!